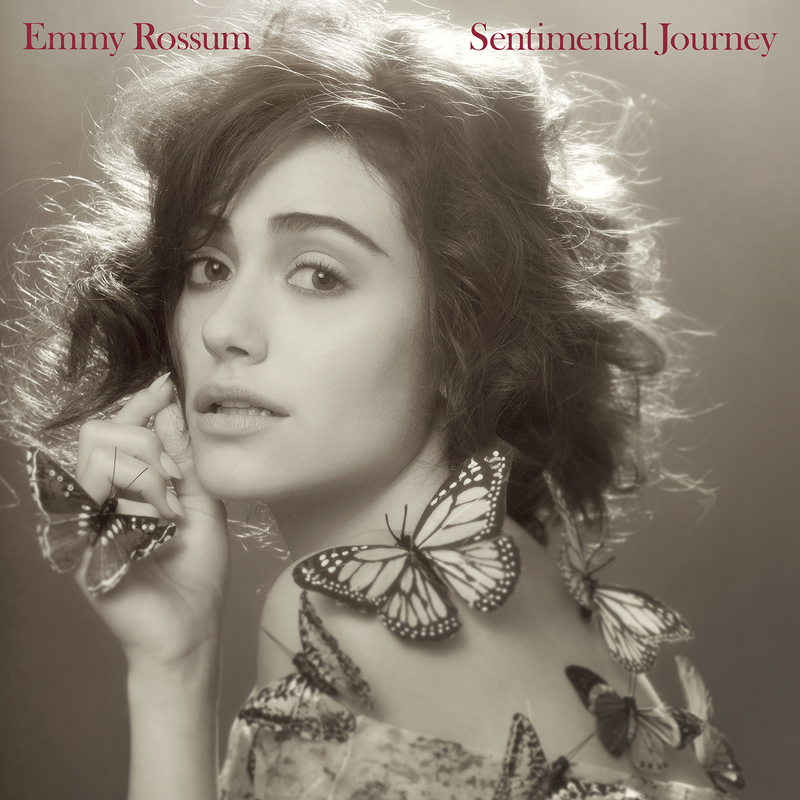 Emmy Rossum's new album, Sentimental Journey, is a collection of classic covers that takes us through the American Songbook. On Sentimental Journey, which releases on January 29th, the multi-talented actress and singer brings her stellar voice to songs popularized by some of the most beloved artists of the last century. Each song on the album represents a month in the year. As Rossum explains, "Some songs were obvious fits, like Summer Wind for June, and Pretty Paper for December. Others songs were less literal fits. I chose Nobody Knows You (When You're Down and Out) for September because, to me, the plaintive melody and lyric emotionally reflect the cold weather creeping in and the sense of melancholy we can get in the fall months." This album is so fun and vintage, it really put me in a good mood. The song Sentimental Journey reminds me of learning to play the song on piano as a kid and singing along with my mom. I think she will really enjoy this album, probably more than me! Another song I really like is Emmy's version of The Object of My Affection. The melody is so upbeat and invigorating; It makes me yearn for an era that I never even experienced. Rossum is also an acclaimed actress who currently stars in the Showtime series Shameless with William H. Macy. She also stars alongside Emma Thompson and Viola Davis in the upcoming feature film Beautiful Creatures, which hits theaters on February 13th. You can buy Sentimental Journey on iTunes or Amazon starting January 29th.